This tutorial will show you how to easily make a Trip Around the World Lil Twister baby quilt. Template for the flowers can be downloaded. 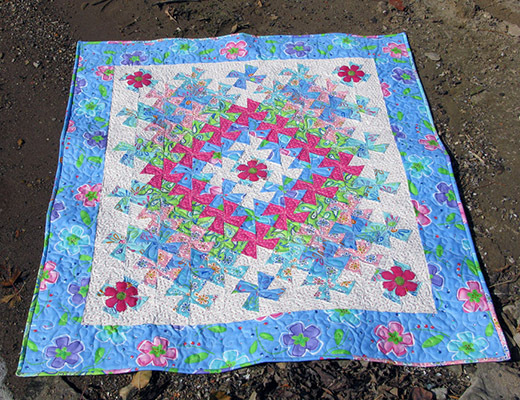 This Worldly Lil Twister Quilt designed by Connie Kresin, The Tutorial is available for free.